Where were you a year ago today? What were you doing? A year ago today, I was breaking down my final predictions for every team and every player for the 2010-2011 NBA season. I was enjoying a fabulous opening week to what would turn out to be one of my favorite all time NBA seasons (and maybe my favorite sports season in which one of my teams did not win). Now I sit here waiting for the NBA owners and players to argue their way to an agreement to end a bitter lockout. As a fan, I can’t help but be angry at losing such an enjoyable part of my life. That’s the why of that particular quote. Because I love this game, and that love is a gift. The emotional side of me is desperately hoping that the NBA players and owners alike remember that and give us back the game. The logical side of me understands that there are reasons for where we are, and given that, we may just be on the cusp of the end of that lockout, so I wanted to break down and summarize those reasons. By the numbers of course. Money is of course at the root of the problem. 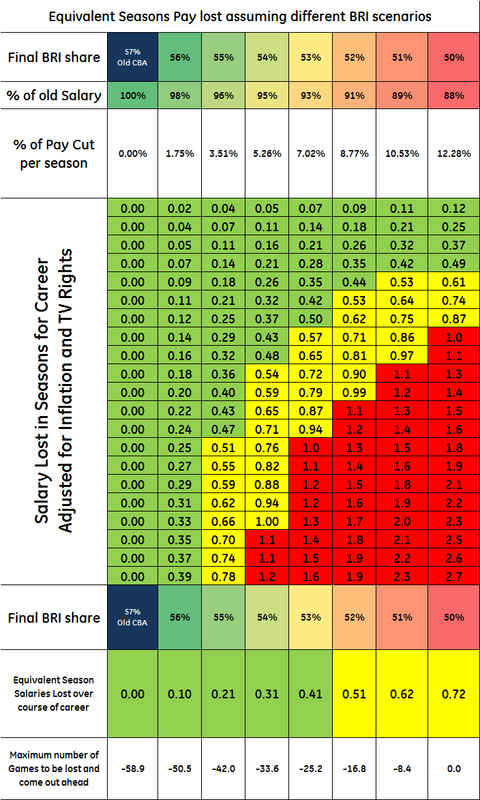 Specifically, it’s Basketball Related Income (BRI for short) that the players and owners are currently arguing about. Proceeds received by NBA properties, including international television, sponsorships, revenues from NBA Entertainment, the All-Star Game, the McDonald’s Championship and other NBA special events. That number for 2010-11 was of course $3.817 Billion. These are the the shares of BRI that the players and owners are specifically currently arguing about. 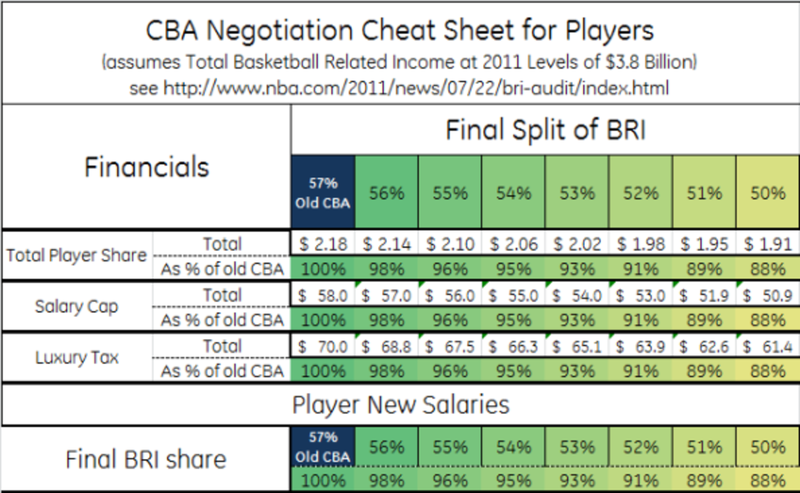 57% is the share that the players have enjoyed under the current Collective Barganing Agreement (CBA) with the owners. 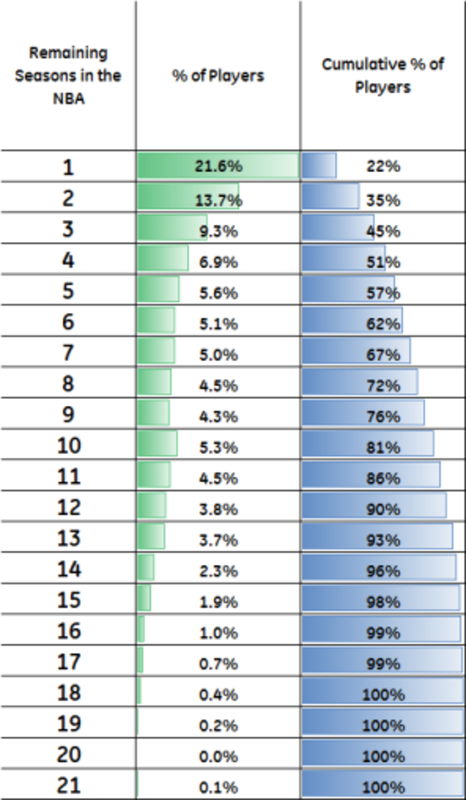 52% and 50% are the numbers being touted by the two sides (with the players of course on the high end and the owners on the low end. The difference? The Players are arguing a between a 9% and a 12% salary cut at this point ( a 3% loss) or about $70 Million dollars a year. 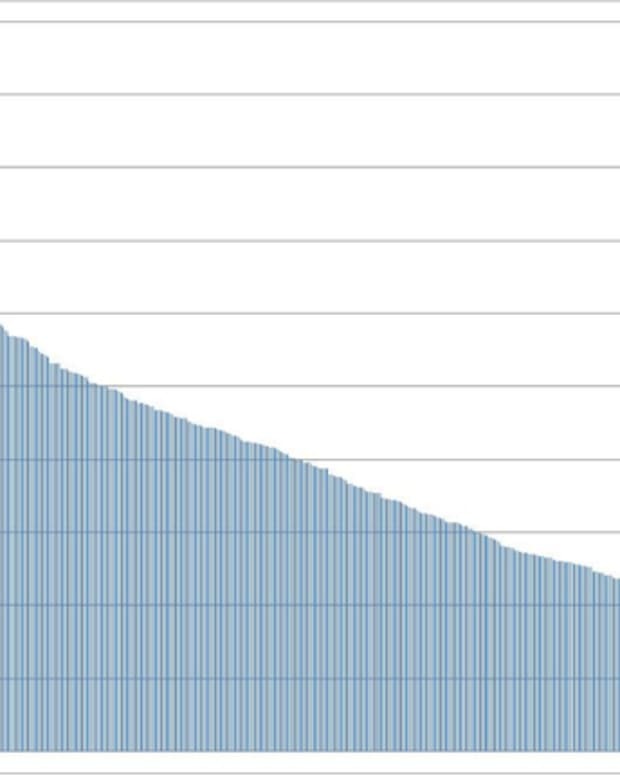 If you look at all the data for the last 30 years, the average length of an NBA career is about 5.7 Years. In fact 80% of players will not spend a decade on the job. Some simple math for you: 3% salary loss times 5 years is 15% salary loss over the course of a career, and this is much less than a 100% percent loss from losing a season. Even if the players could get back the full 57% share by losing a season they would end up losing money on the proposition (12% times 5 = 60% versus 100% for a season lost. Seems like I want them to settle at 50% right? Not so fast. There is some margin to be gained for the players from a higher percentage share of the BRI. These are my predictions for the current lockout for the same. I think the final number will be 51% and that we will lose about 8 games (with the league schedule being heavy on back to backs). 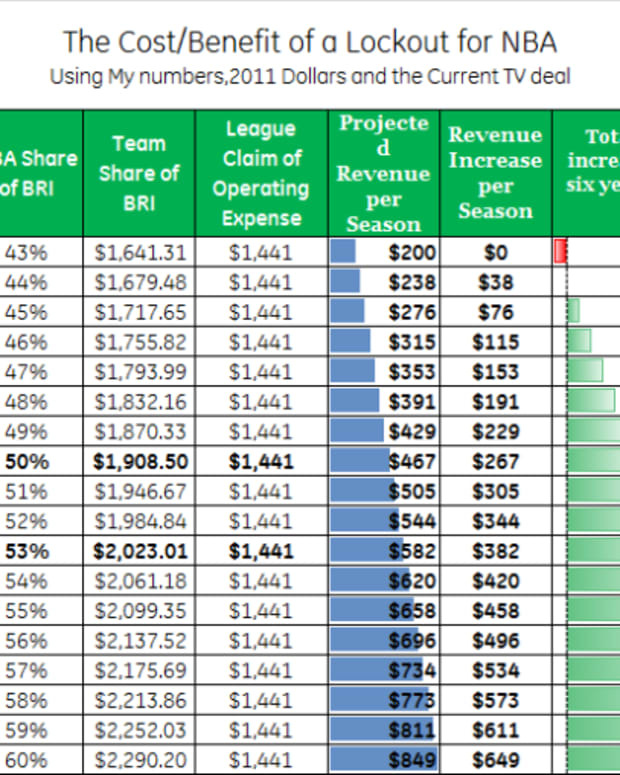 That’s the growth of BRI (which is also the rate of growth for player salaries), the general rate of inflation and the growth of team expenses from 2005 to 2011. These are the numbers are stress out the owners and motivate them. To be fair, the economy was not so good. 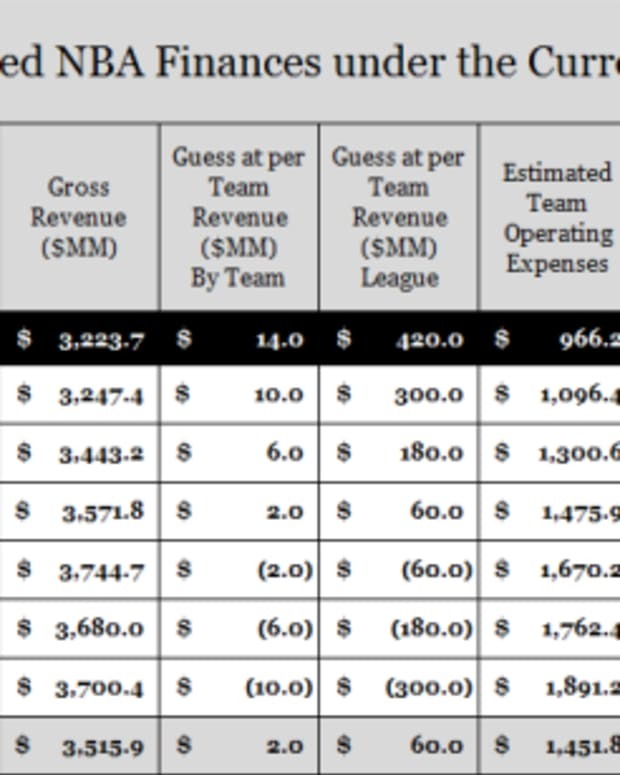 Player salaries are fixed to league revenue growth but their expenses aren’t. If revenue growth is greater than expense growth everyone is happy. If not the owners start to lose earnings. There are three ways around that. Increase revenue. Say for example by moving teams to more profitable markets or contraction. The owners of course chose number three. 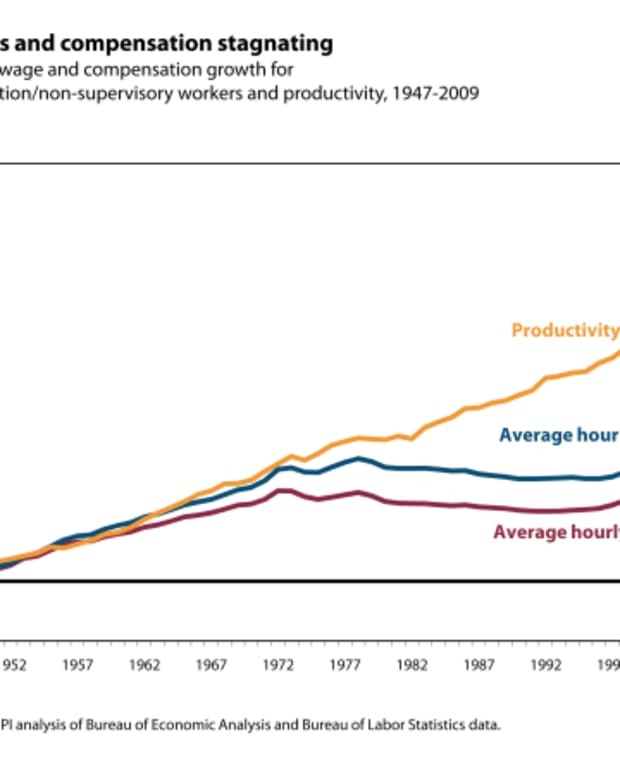 If all that happens (and the owners keep their expense growth at about 6.4%), everybody wins. 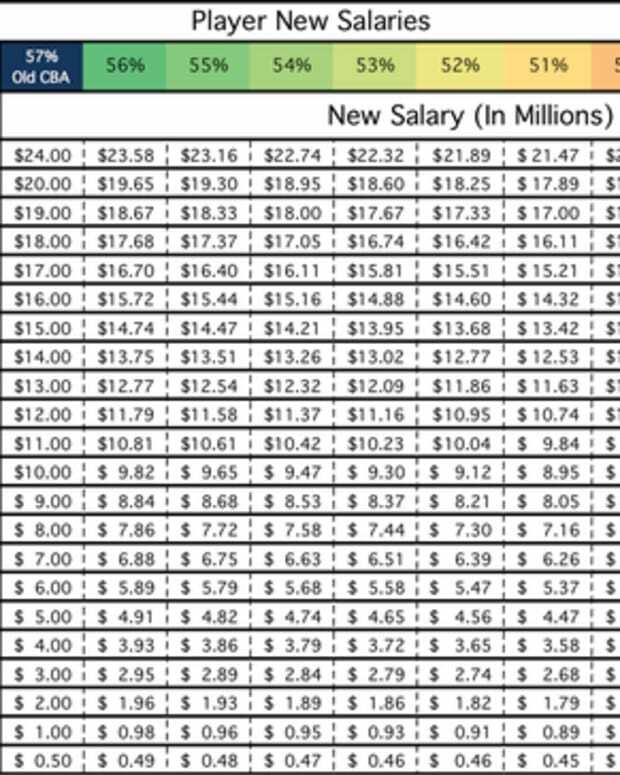 Including players, whose salary gets back to current levels by 2013. Arturo Galletti is the Co-editor and Director of Analytics for the Wages of Wins Network. He is an Electrical Engineer with General Electric in the lovely isle of Puerto Rico, where he keeps his production lines running by day and night (and weekends) and works on sport analysis with his free time. 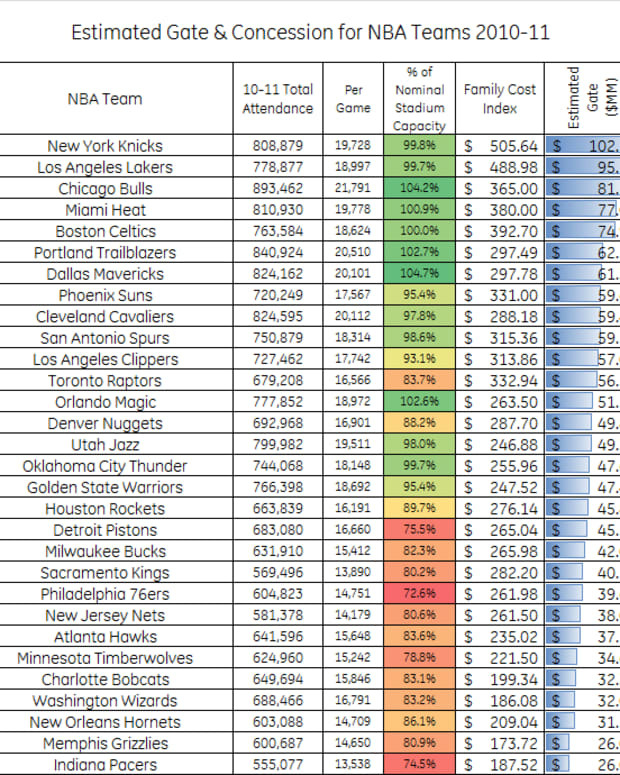 NBA Lockout Analysis: Is Parity Possible?